Timeless and durable. 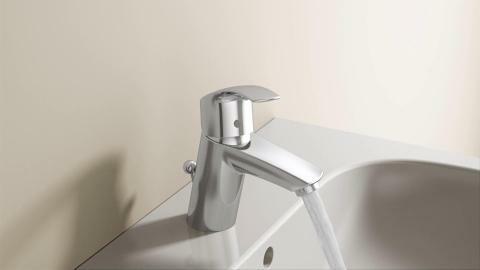 GROHE Eurosmart combinesreliable quality with high-end luxury in a great product thatis always being improved. The newly developed cartridgetechnology, which gives the housing an even more beautifulshape, is one of many innovations. The new Eurosmart range has been improved both inside and out, from itsstreamlined modern design to its state-of-the-art internal technology. 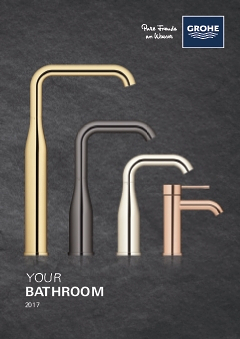 We gavethe tap a new BlueCore interior, the seal of excellence for GROHE engineering.The new 35 mm GROHE SilkMove® cartridge with integrated temperature limiteris now used for washbasin, kitchen, bath and shower mixers. 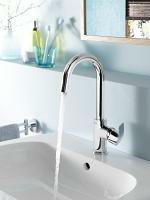 Eurosmart remainsthe smart, best-value choice for bathroom projects large and small.